The restaurant menu had some typical brewery foods, but also things unique to Pittsburgh, like a Pierogie Pizza. 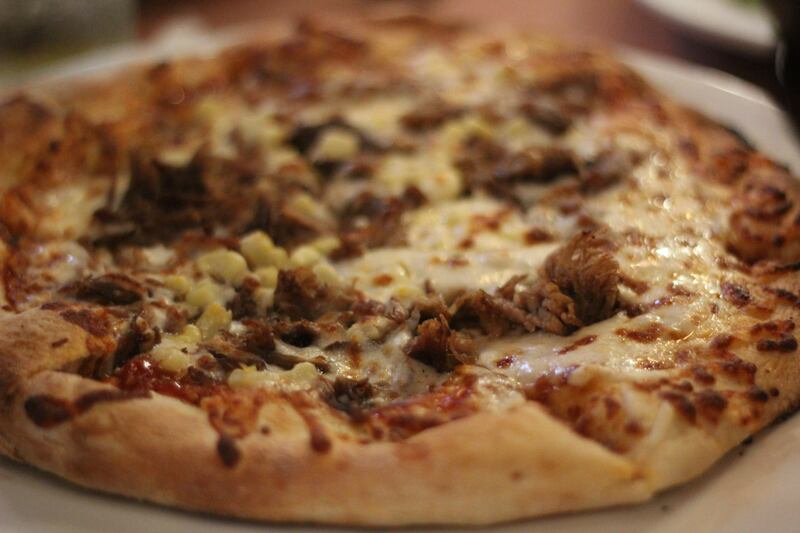 I opted for the Wild Boar Pizza, which came topped with the aforementioned boar (pulled like pork), corn, onions and BBQ sauce made with their Pious Monk Dunkel beer. Per usual, I got mine without the onions. I had heard there could sometimes be a long wait for pizza, but on this day things went pretty smoothly. The pizza came out and, despite the inconsistent sprinkling of toppings, looked quite good. And it certainly wasn’t bad. The wild boar flavor was a nice addition to the pizza, but was surprisingly dry for being pulled. The BBQ sauce was delicious, but the dough left me feeling like it maybe could have been left in the oven just a bit longer. Not bad, but not especially good either. 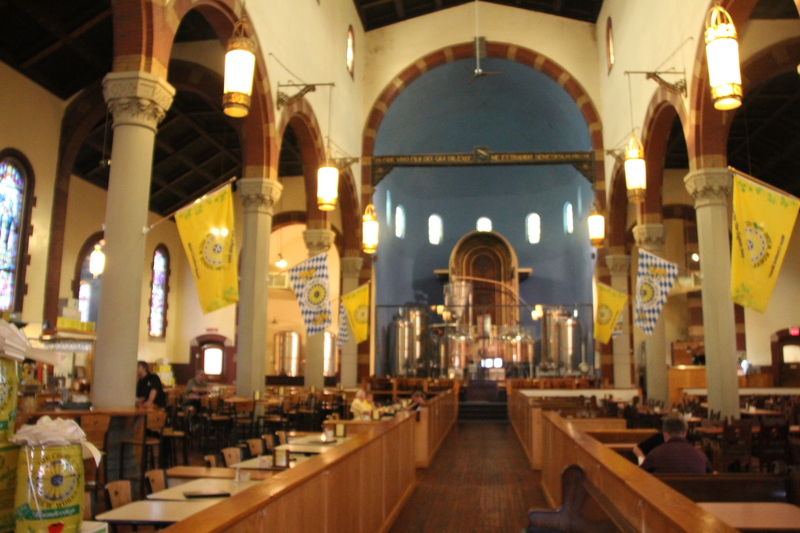 Yet, I couldn’t help feeling that the simple act of eating and drinking like this in a church was awesome, and for one of the few times in my life the atmosphere played a distinct role in upping the food itself.